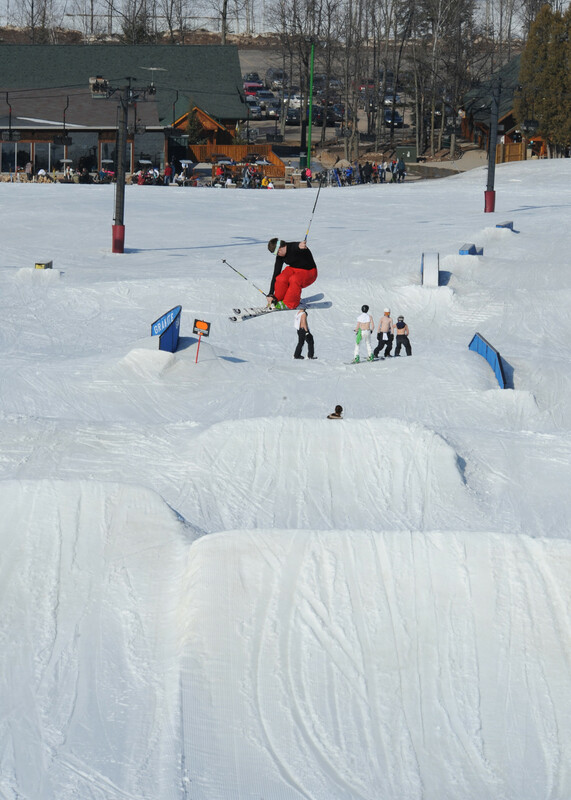 Rising high above the city, Rib Mountain, the highest point in the Badger State, plays host to one of the Midwest’s largest ski areas. Granite Peak, which resembles a small New England ski area, sprawls across 400 acres of the north-facing mountain sporting a big 700-foot vertical drop and 74 trails serviced by seven lifts including a new high-speed quad. At night you would swear you were in Vermont with the lights of the ski trails shimmering high above the town; ribbons of light cascading down to the edge of the city, which sits at the base of the mountain. One of the best night skiing venues in the region, it’s a unique combination that you won’t find elsewhere around the Great Lakes. Eatery, grill, tavern, coffee bar, ski and sports store, demos and tuning center, rental shop, and learning center. All the new buildings feature rough-cut lumber exteriors and rustic, knotty pine interiors in keeping with the original day lodge. It gives the small, functional village an old-time feel. The original chalet is a historic site.